So, how did you get involved? I was a late addition (in place of someone else who had to drop out) to the original author team and only started writing in February with an inital contract of two chapters to complete on a really tight deadline of three weeks. One thing led to another and in the end, I was involved either in full or as a contributor on six of the final chapters! Trying to fit in a work and family life balance on top of all that writing was definitely one of the biggest time-management challenges I've ever had! For all the hard work and stress though, I absolutely found the entire process to be really rewarding and I can honestly say that no matter how much you know about a product or piece of software (SCOM 2012 in my case), you will learn an absolute abundance of information when writing a book like this on it! Unlike blogging, where you can quickly get something up onto the internet and when a mistake is made easily rectify it, with a book, everything needs to be cross referenced and verified along with copyright issues taken into account too - it defnitely needs to be as accurate as possible first time round! As an added bonus, I've also made some really good friends and contacts out of this process and look forward to meeting up with some of them at the MVP Summit over in Redmond, Washington next February. If you want to learn more about SCOM 2012, then this book is a great place to start. I know that I've certainly learned some valuable new tips by reading through each of the other authors 'Real World Scenario', 'Notes' and 'Tip' sections that you will find throughout the book. Where can I get more information about the book? OK cool, so how do I order it? It's just come off pre-order and is available now for delivery through Amazon.com here and Sybex.com here in your traditional 'dead tree' format and also as an e-book. If you're over my side of the world (Europe) and use Amazon.co.uk or any of the other European online book stores, then they should have it ready for delivery in the next week or two. That means that there's still some great savings to be had by pre-ordering it now! You can get it from Amazon.co.uk here. Microsoft's Travis Wright has just posted up some really cool information onto the System Center Virtual Machine Manager Engineering Blog about two new solution accelerators for System Center 2012 Virtual Machine Manager (SCVMM/VMM) and System Center 2012 Orchestrator (SCO\SCOrch). I have been using Microsoft Solution Accelerators with System Center for a number of years and they're always an excellent addition to your deployments so well worth attending these sessions online. 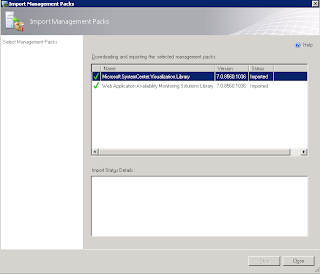 One program will provide Virtual Machine Manager (SCVMM) service templates and a SCVMM add-in to help you discover them. 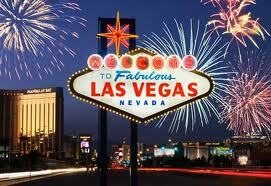 The other program will provide datacenter automation for private clouds using System Center Orchestrator. Datacenter automation for System Center Orchestrator enables you to automate operations of private cloud workloads such as SharePoint and Windows Server. 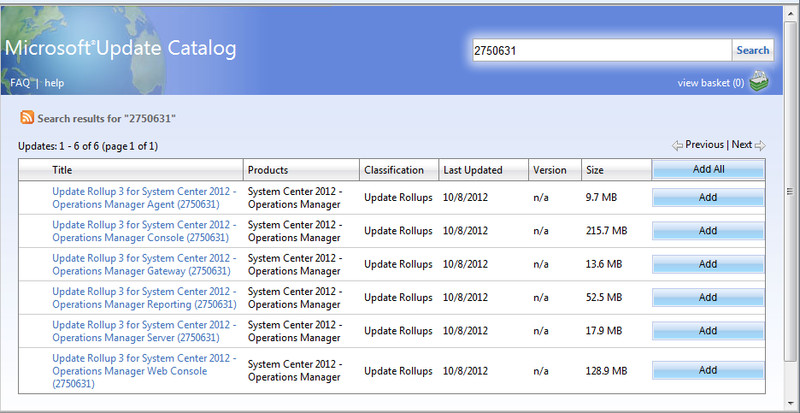 Just last night, Microsoft released Cumulative Update 3 (UR3) for System Center 2012. 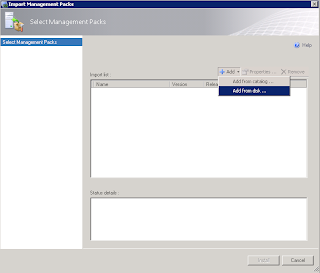 This release contains a smaller number of fixes and is targeted mainly at Operations Manager (SCOM/OpsMgr), Data Protection Manager (DPM) and Service Manager (SCSM) you can find a description of it here. 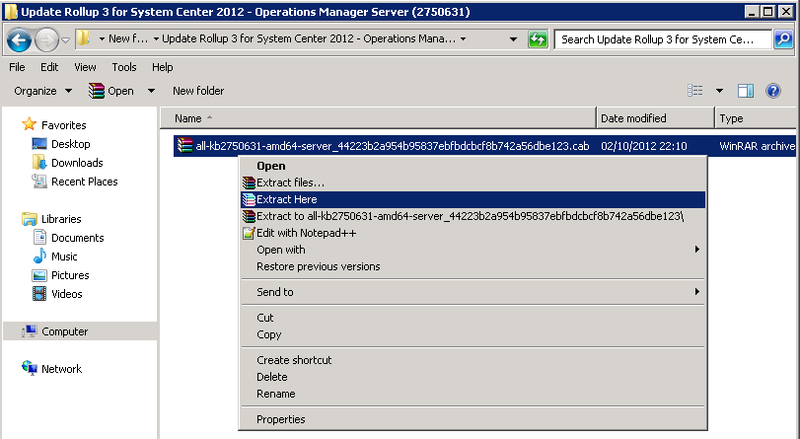 This post will walkthrough the steps required to deploy the Update Rollup 3 hotfix to your SCOM / OpsMgr 2012 deployment. As in the past, this post is an updated version of my previous post on deploying Update Rollup 2 (CU2) to SCOM / OpsMgr 2012. The process to deploy the update is quite simple. 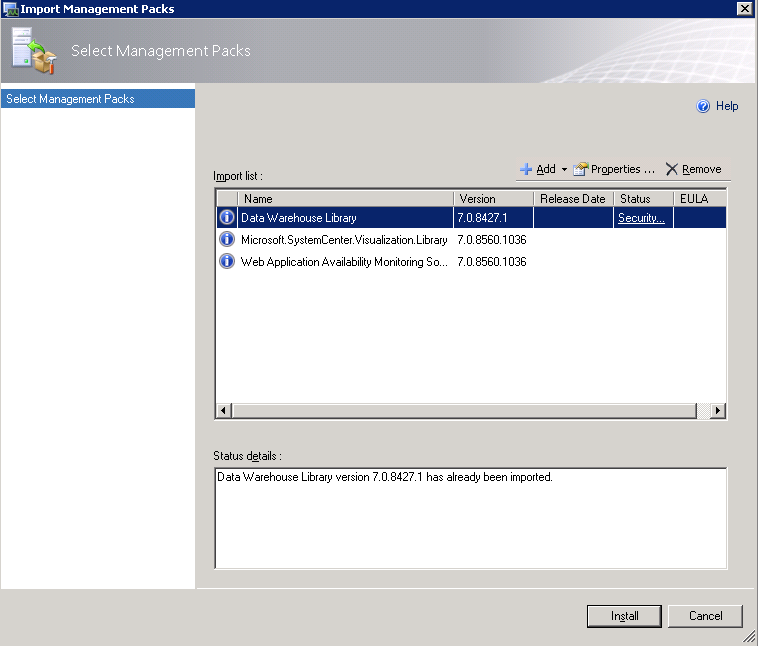 Similar to Update Rollup 2, there is no need to run any SQL queries against the SCOM databases as part of the update - as was the case with the SCOM 2007 R2 CU's. You can choose to deploy this update either manually or by using Microsoft Update. This post will outline the manual installation process. 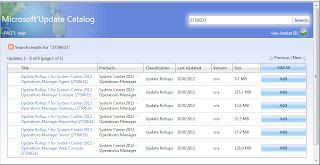 Some of the information below is taken directly from KB2756127 on the Microsoft Support website. 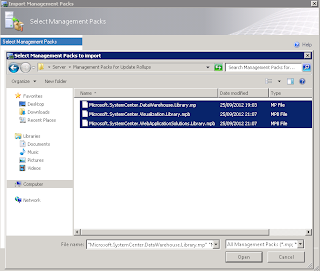 After you install the update rollup package on all roles on the System Center Operations manager 2012 server, except on the Agent and Gateway roles, the updates do not appear in the Add or Remove Programs item in Control Panel. After you uninstall the update rollup package, a System.Management.Automation.ActionPreferenceStop exception occurs in the Discover Agent Versions script, and the script fails. 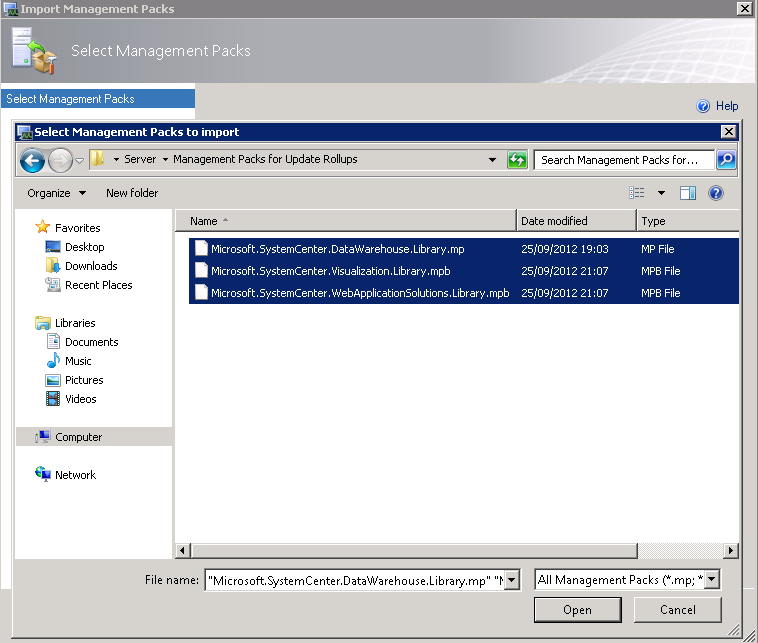 To resolve this issue, change the InstallDirectory value in the "HKEY_LOCAL_MACHINE\SOFTWARE\Microsoft\System Center Operations" registry subkey to C:\Program Files\System Center 2012\Operations Manager\PowerShell. Server Error in '/OperationsManager' Application. To resolve this issue, close and then restart Windows Internet Explorer. Update Rollup 3 is available in a number of languages but some components are language neutral, and the updates for these components are not localized. You must run these updates as an administrator. You have to close the console before you apply the console update to avoid having to restart the computer. You must restart and clear the browser cache to start a new instance of Microsoft Silverlight. This update rollup should not be installed immediately after you install the server. Otherwise, you could encounter an issue in which the Health Service state remains uninitialized. If User Account Control is enabled, the .msp update files must be run from an elevated Command Prompt window. System Administrator rights on the database instances for the Operational Database and Data warehouse are required in order to run updates on these databases. The previous two rollups for SCOM 2012 (CU1 and CU2), were relatively small in size (75MB) however, this particular update is much larger and can be over 400MB if you need to deploy it to all of the different SCOM roles in your environment. It's still significantly smaller than previous SCOM 2007 R2 updates which were closer to 1.5GB in size! 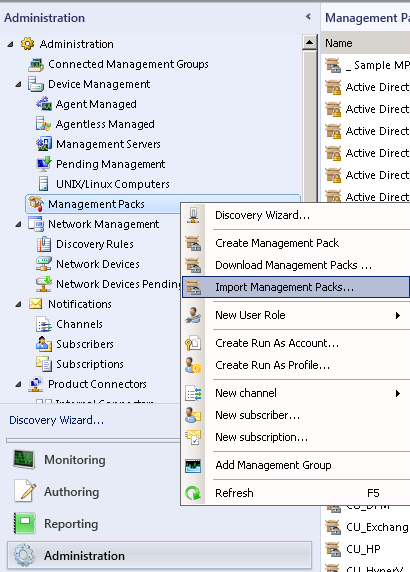 Once you've downloaded the relevant updates to your SCOM management server, you should see a number of folders similar to the screenshot below depending on which roles you've chosen to download updates for. You should now see the KB2750631-AMD64-Server.msp file and this is the one that we will use to update the SCOM Management Server role. After the update has been applied, you won't see any confirmation confirming it's finished, the above dialog box will just close out. Don't be alarmed that it's crashed or that you need to re-run the update again, this is just normal behaviour! Once these commands have finished installing, I'll then run the relevant commands on my SQL server that's running the SCOM Reporting role and my Gateway servers. 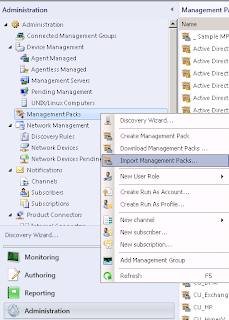 Once you are happy that your first SCOM 2012 Management Server has been updated, then you can then move onto installing the new management packs that come with the CU3 hotfix. 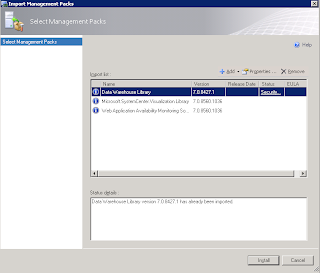 If you have previously upgraded to Cumulative Update 1 (UR1), then you will notice that the version of the Data Warehouse Library management pack is the same version number for CU3 and this will not be imported. If you haven't upgraded to CU1, then the import will upgrade all three new management packs at this point. With the management packs imported, that finishes off the upgrade of the Management Server role and if you haven't upgraded the other SCOM server roles yet, then now's the time to do it. Finally, the hotfix documentation available to me at the time doesn't mention anything about upgrading your Unix/Linux agents so for now it looks like the update is only applicable to Windows based systems. I'll update this post if that changes over the coming days. If you work with System Center and Private Cloud technologies, then the Microsoft Management Summit (MMS) is the ultimate conference for you. 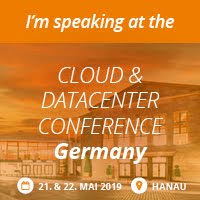 This conference started off way back in 1998 focusing on SMS/ConfigMgr and then eventually evolving into showcasing the whole Private Cloud management suite of System Center products that we have today. In 2011, this was the first major Microsoft conference that I attended and I've been hooked on it ever since! It's the one place where just about everyone who works in the System Center community come together to attend some excellent deep-dive sessions being presented by the Microsoft System Center product team and MVP's alike. Congratulations! We are pleased to present you with the 2012 Microsoft® MVP Award! This award is given to exceptional technical community leaders who actively share their high quality, real world expertise with others. We appreciate your outstanding contributions in System Center Cloud and Datacenter Management technical communities during the past year." To receive this award is a real honour and it tops off a fantastic 12 months for me participating in the System Center world. I've made loads of new friends, had the privilege to present at the Irish and Northern Irish System Center 2012 launches, participated in numerous Community Evaluation Programs (CEP's) and even got a free ticket to MMS 2012 in Las Vegas as a result of winning the Private Cloud CEP contest! The next 12 months are going to be really exciting too with the launch of our new book on System Center 2012 Operations Manager this month and the MVP Summit in Seattle in February to attend - not to mention also the MMS/TechEd 2013 conference in either New Orleans or Vegas! There's so many people to thank for their support and help over the last year, but in particular I wanted to give a special mention to Gavin McShera, Art Coughlan and Dave Northey in Microsoft Ireland and also to Aidan Finn (Hyper-V MVP) and Damian Flynn (System Center MVP) for giving me guidance and helping with the nomination for MVP. Also, thanks to all my friends in the System Center community who work tirelessly to share their knowledge and advice any time it's needed. A big mention has to go to my workplace friends and colleagues in Ergo who have given me the opportunity to work on pretty much nothing other than System Center projects for the last few years which has been a huge help in attaining an understanding of this fantastic suite of products. Finally, a massive thanks has to go to my wife and son for putting up with all the late nights and weeks away from home over the last year and whose patience has been key to helping keep me focused on the work that I love!